Now in its 21st year, the Lights of Hope fundraising campaign is an annual holiday tradition that sees a spectacular display of lights built on the façade of St. Paul’s Hospital. 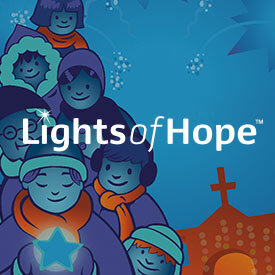 Be part of the tradition by giving to Lights of Hope! A star displayed on the hospital represents your company’s belief in social responsibility and in caring for the community you do business in. Your gift may also be recognized in St. Paul’s Foundation’s donor wall, annual report, website and social media; and in the Vancouver Sun Lights of Hope thank-you ad. Pledge and payment arrangements must be received by November 30th to be included in the 2018 display. To learn more about how you can support Lights of Hope contact Grace Chiu, Manager, Corporate & Sponsorship, at 604-806-8436 or gchiu1@providencehealth.bc.ca. 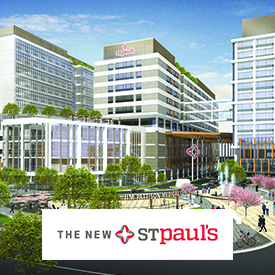 Thank you for considering a gift to St. Paul’s Hospital Foundation. Your donations are meeting our greatest needs. Do you want to honour or commemorate someone? Use our tribute giving option. Don’t miss the celebration of the year! Fireworks, foodtrucks, a lightshow and more. Sign up today for more information.